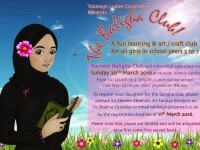 The Ladies Tableegh Committee invites all girls who are in School Years 3 to 7 to attend our next Baligha Club, Insha Allah on Sunday 20th March 2016 at the Husaini Islamic Centre from 10:30am to 3:30pm. 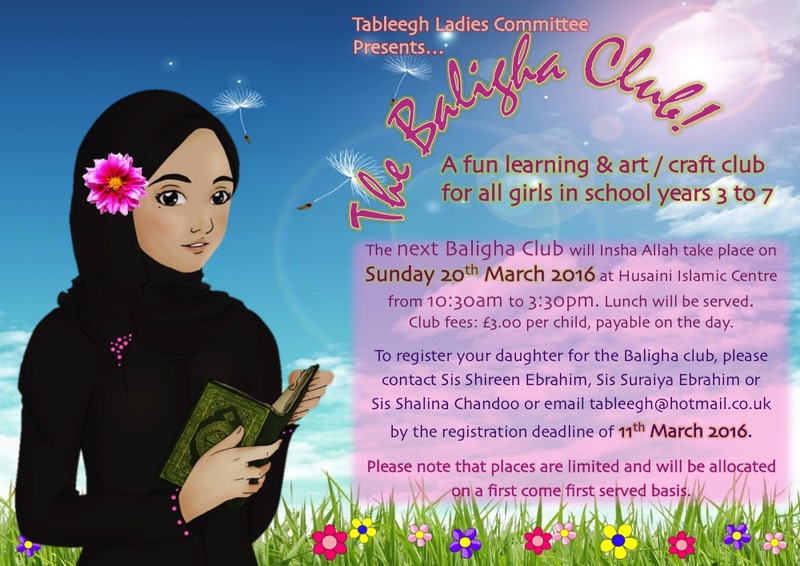 To register your daughter for the Baligha Club, please contact Sis Shireen Ebrahim, Sis Suraiya Ebrahim or Sis Shalina Chandoo or email tableegh@hotmail.co.uk by the registration deadline of 11th March 2016. 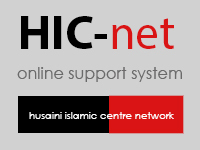 Please see attached poster for details.